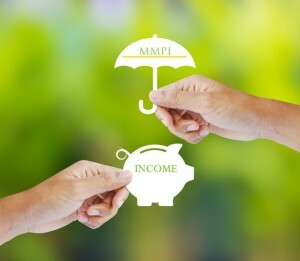 MMPI Limited (the Company) is a limited liability company incorporated in Ireland (registration number 202975) and regulated by the Central Bank of Ireland, under Regulation 11 of the European Communities (Markets in Financial Instruments) Regulations 2017 as amended (authorisation number C8152). The important information, herein, is addressed to you, whether you access this website for yourself or for some other party. You must agree to the following terms and conditions on your own behalf and for all others on whose behalf you access this website and acquire information about MMPI Limited and the products and services offered from time to time by the Company. The material on this website is not directed to any person who is located in any jurisdiction where MMPI Limited is prohibited by any law and/or regulation from providing its services. Persons to which such prohibition applies must not access this website. If you enter this website, you are representing that access to the information contained in this website is not prohibited to you by the applicable laws of your country of residence or domicile. By entering this website, you hereby confirm that you are seeking information on MMPI Limited and its products and services of your own initiative and volition. Any person relying on information contained in this website should check that this data is the most current version and that no amendments or corrections have been made to the information since the date it was issued. Any and all investment considerations should only be contemplated following a thorough review of the applicable fund prospectus. The Company does not accept any liability for investment decisions based solely on the information contained in this website. While the Company has taken reasonable care to ensure that the sources of information herein are reliable, MMPI Limited does not guarantee the accuracy or completeness of such data (that may not be independently verified or audited) and accepts no liability for any inaccuracy or omission. Any and all opinions, estimates and projections are current as of the date indicated on this website and are subject to change without notice. The Company undertakes no obligation to update such information on a periodic basis or otherwise. The Company disclaims any responsibility for the information on any website that is linked in any way and at any time to this website. The information contained and referenced in this website is not intended to and shall not in any way constitute an invitation to purchase or trade in any way in the products and services of the Company. The information contained and referenced in this website is solely for general information purposes. It does not purport to be full; whole or complete. Nothing herein contains investment, legal, tax and/or other professional advice, and interested parties should seek independent professional advice (available directly from MMPI Limited in private consultation) before making any financial and/or investment decision. This summary statement does not purport to disclose all of the risks and other factors necessary to evaluate any financial decision. Therefore, any interested party should study the applicable fund prospectus and/or product brochure carefully to determine whether or not such interest is suitable in light of their current circumstances, investment experience and financial objectives. Investments in the products of the Company may involve significant risks. The risk of loss in trading securities can be substantial and income from investments may fluctuate. The past is not a guide to the future performance of any investment. No representation is made by MMPI Limited that any returns indicated in this website will actually be achieved. The products described in this website are suitable for sophisticated retail and professional investors who have a good understanding of the underlying market and product characteristics. 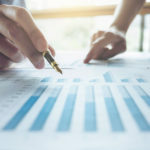 It is important that you appreciate at the outset that you could lose all of your invested capital when investing in certain investment products. If in any doubt, please consult an appropriately qualified financial advisor. MMPI Limited recommends that retail investors seek independent professional advice prior to considering any investment. This website and all the information on this website represent proprietary information and are the exclusive property of MMPI Limited and are intended solely for those parties who have been granted permission to access this website. Under no circumstances may it be reproduced, stored, or distributed to any other person, in whole or in part, without the prior written consent of MMPI Limited. Individual risk tolerance is a critical aspect of any decision involving money – savings and investments (deposits) are no different. Depositors do not give sufficient consideration to the risk that the institution they have chosen to protect their money might go bust. The headline example of the demise of Anglo Irish Bank is a prominent Irish example where depositors’ money was placed at risk. However, there are lots of other examples throughout the EU and further afield. The Central Bank of Ireland monitors the solvency of Irish financial institutions including banks; insurance companies; building societies and credit unions. 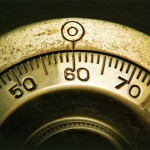 It has devised a safety net that offers protection to depositors in Irish financial institutions. It is called the Deposit Guarantee Scheme and we describe it below. There are numerous savings and investments products offered by financial institutions that vary in a number of ways. The choice can be daunting. 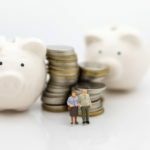 Some savers will be lured by a high interest rate but will fail to notice the strict conditions that apply when they need to access their funds in an emergency. Other depositors will make a shrewd choice initially but then become less attentive and allow their funds to sit in low-interest bearing accounts for long periods. As savings and investments (deposit) rates are constantly changing please be sure to check your bank statement and call us to see the best rates we can access for you. Depending on your circumstances whether it be a lump-sum deposit or regular saver we can advise you on the best rates that are currently on offer from the various institutions. If you would like to examine the product comparisons available to depositors and savers please feel free to contact us for impartial advice.